Starting next week PBTV have Bruce Armstrong, followed by a PowerBuilder Developer's conference recap in November! In this webinar we will look at best practices for error handling in DataWindows, in PowerScript, and how to find errors in nonvisual objects such as datastores and custom user objects. We will show examples and frequent cases where errors occur as well as exceptions and how to handle them properly. If you arnt able to make to SAP Sybase's PB Developer's Conference in Las Vegas (registration is still open), then stay tuned to PBTV in November to find out what you missed! The Ottawa Sybase User Group has been in existence since 1992 and was formerly known as the Ottawa PowerBuilder User Group until its current name change in 2003. 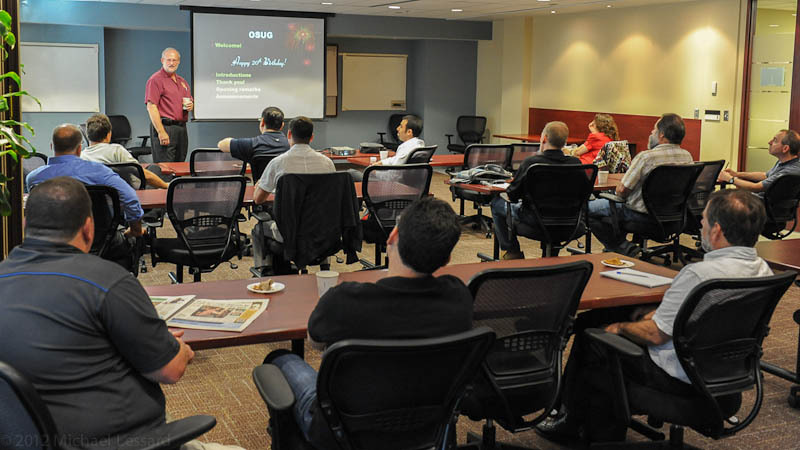 OSUG's mission is to create a Sybase community in the National Capital of Canada where users can share knowledge, experiences, and best practices on various Sybase products. The group is composed of various IT members that represent Database, Design, Architecture, Application Server, Mobility and Development Tool product lines. The strongest representation currently is in the PowerBuilder area as there were (in its “hay day”) over 4,000 licenses of the PowerBuilder product alone in the Canadian Federal Government. 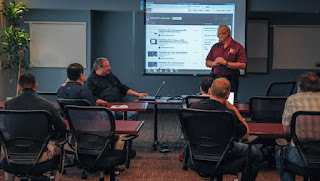 The Ottawa Sybase User Group’s last meeting was on May 24, 2012. This was a special meeting as it also coincided with OSUG’s 20th birthday. The group was originally founded by Chris Pollach who at that time worked for the local Ottawa, Canada PowerSoft distributor & education partner - AJJA Information Technology Consultants. Chris was also the first certified PB developer and instructor in Canada. While Chris became OSUG’s first president in 1992, there were three individuals after him that also took on the presidential position growing the membership to over 200 people. However, by 2002 with no current president the OPBUG had less than 25 active members and was at the verge of folding. 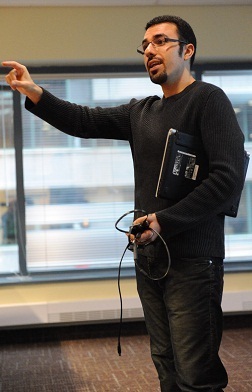 In 2003, Chris again took on the user group roles as president. His first order of business was to rename the group to the Ottawa Sybase User Group and then grow the membership back to a healthy level. To Chris’ surprise, this revitalized group roared back to 532 members by 2008/2009. In 2012 the OSUG still enjoys just over 400 members on its roster. 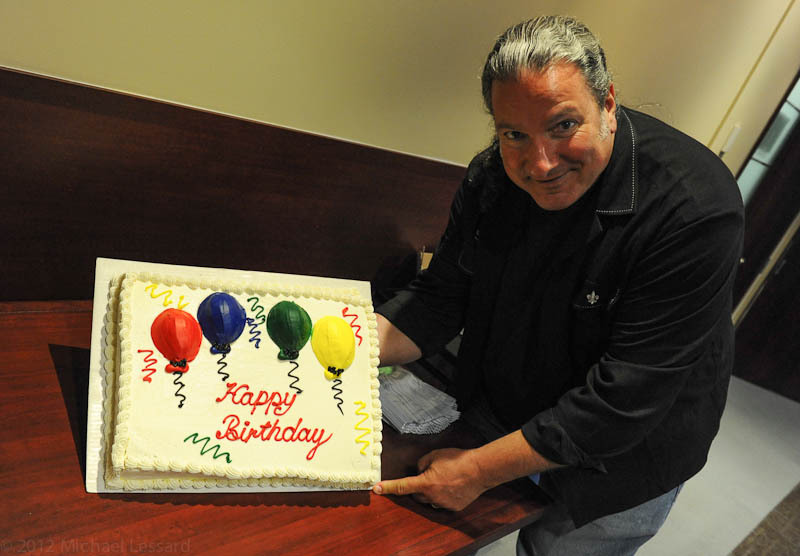 On hand for the 20th anniversary / birthday event was PowerBuilder Technical Evangelist (and culinary aficionado) John Strano a long time presenter to the user group over the past decade. John presided over the birthday cake cutting with Chris Pollach and enjoyed handing out the delicious dessert to all OSUG members and guest speakers in attendance. The cake was the “icing” on the day’s events that also included a continental breakfast, donuts & muffins, tea / coffee / juice and a delicious sandwich spread at lunchtime. The OSUG group would like to thank Mr Mark Coldham of TEK Systems for their wonderful support of this event providing the breakfast and morning/afternoon break goodies. OSUG would also like to thank the International Sybase User Group (ISUG) for their support of the great lunch time feast and Sybase Canada for arranging the meeting room and providing the projector. President Chris Pollach opened the meeting and first of all thanked Sybase Canada’s technical director Tony Antonello for his two decades of support for the OSUG user group. According to Chris, Tony epitomizes all the best things any software vendor employee has done to help facilitate the user group’s success over the past 20 years! Chris then proceeded to also thank Sybase employees John Strano, Anthony Robinson for their continued support of OSUG by continuing to return to present such high quality presentations and information about the various Sybase products. Chris also thanked CEO Armeen Mazda of Appeon who had returned to Ottawa for his third visit presentation. 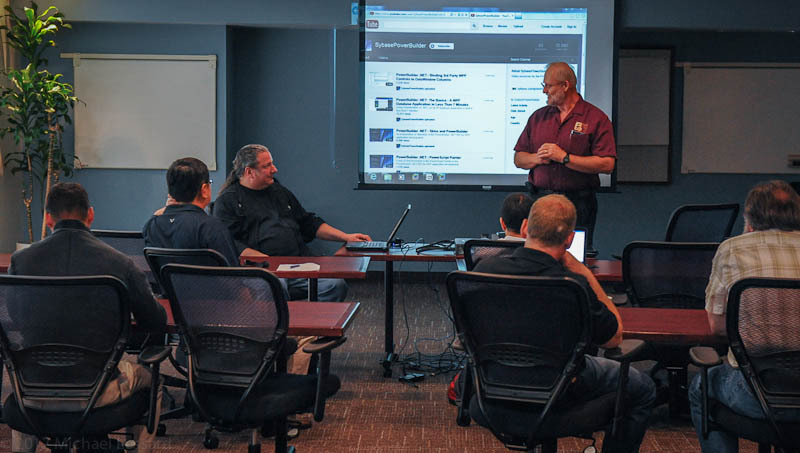 During Chris Pollach’s “Technology Watch” segment that preceded the formal OSUG meeting agenda – Chris shared and demonstrated the latest Foundation Classes he had just released for PB 11.5.1, 12.1 and 12.5.1 with all new and exciting features. Chris then demonstrated the FC’s working under the latest Appeon software showing that the same functionality on a native MS-Windows PB application would also behave the same when deployed as a web application under the Appeon product. The Foundation Classes were originally written in 1992 by Chris and have now expanded to include EAServer, PocketBuilder, PB Client/Server, PB.Net and Appeon. Chris is really looking forward to extending the framework to the new Appeon Mobile platform – more about that new product later in this article! The first presenter of the day was the CEO of Appeon Corporation- Armeen Mazda - who took the OSUG members through a detailed review of the Appeon product for PowerBuilder. Armeen focused on Appeon’s prowess to not only easily webify any PowerBuilder application but why it would then scale nicely in production because of Appeon’s architecture. The next segment of his presentation focused on the exciting features coming in Appeon release 6.8 and then 7.0 as Armeen detailed the development road map. Armeen also supplied all the OSUG attendees with the latest version of Appeon 6.5.1 software while Chris Pollach also supplied a full set of his Foundation Class framework for PB & Appeon so that the attendees could easily explore this web realm after the meeting. The next presenter on OSUG’s morning agenda was by John Strano from Sybase USA. 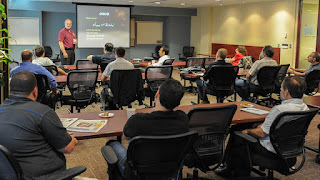 John’s first presentation was on updating the OSUG members with Sybase’s latest PowerBuilder 15 Roadmap and fielding questions from the attendees as to how the feature list was defined and when the user community could be seeing this software release. For his next presentation, John took the attendees through a preview look at the new DataWindow HTML5 Server and how it basically would work and render DW information in any HTML5 equipped web browser. John mentioned that this new product would actually be an Sybase written ASP.Net application where PB developers could post their DW objects for the server to automatically render. He also mentioned that (as far as he knew at the moment) this new IIs application would be provided with PB 15 and included in the overall price. Following John’s presentations and just before the lunch break, both John and Armeen entertained a “question & answer” session on Appeon Web and PB 15. Both John and Armeen reiterated that they would like to hear from the PB community on what they thought the new products like Appeon 7.0 and the DW Server should contain feature wise. The OSUG attendees asked many excellent questions and were pleased to receive excellent responses and information to their queries. Mr Armeen Mazda who was a key member of the initial team that founded Appeon Corporation back in 1999 and is currently its CEO & President started the afternoon sessions. 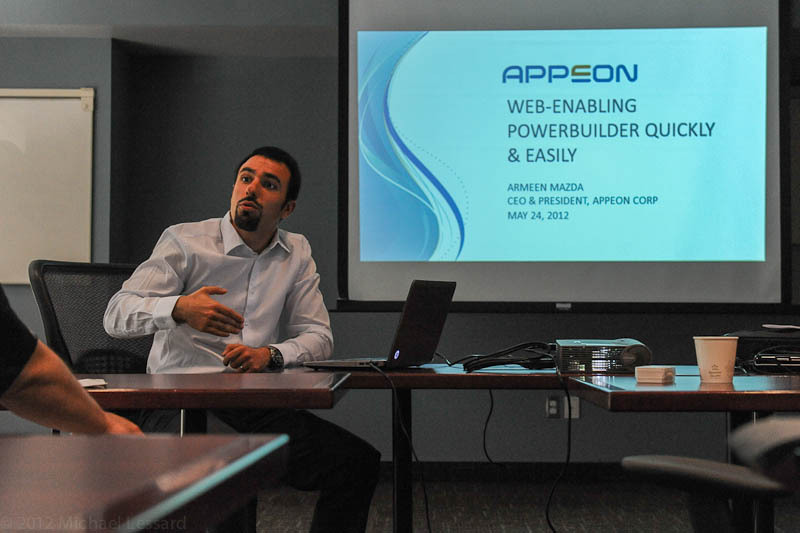 Armeen presented a very exciting look at Appeon’s latest product development – the new Appeon Mobile product. Appeon Mobile builds somewhat on the current technology used in Appeon Web Server but also delivers “native” applications for both the new Tablet and Smart Phone mobile devices. The amazing thing here is that again regular PowerBuilder applications are the source. Appeon Mobile then just translates the PowerBuilder code into native machine code for the specific device deployment. Initially, Appeon Mobile will support iOS based devices in its first release later this year. In early 2013, Appeon Mobile will release an updated version that will allow native applications to be compiled and deployed to Android based devices. During the presentation from Armeen, he was also able to break into actual examples of the Appeon Mobile development platform that demonstrated various PowerBuilder applications and how they would render on an iPad. The examples included various DataWindow objects used for reporting, list display, updating and graphing. Menu objects and their associated menu item drop downs are accessed through a “menu” command button on the top application title bar. The associated tool bar icons appear separately on the far right hand side of the application title bar. The size of the tool bar area is limited, so once the icons exceed this real-estate a right arrow is added by Appeon to allow the application user to scroll through the remaining toolbar icons. On the iPhone where screen real-estate is even more conservative, Appeon Mobile will just display a toolbar icon command button only and no icons. Selecting the toolbar icon though will produce a drop down cluster of icons included in the active application menu’s toolbar. The current road-map for Appeon Mobile shows release 1.0 for Q4 2012 including support for the iPhone and iPad. At the end of Q1 of 2013 Appeon Mobile will support offline access and synchronization. The synchronization will be of Appeon design allowing the application developers to use either Sybase’s MobiLink product or stay will the Appeon Mobile built-in feature. At the time of writing this article it is envisioned that Appeon Mobile’s synchronization will be included in the base price. Appeon Mobile’s Q1 2013 release should also included support for the DataWindows horizontal spilt screen feature and SDK integration. By SDK Appeon means access to native device features like GPS, Camera, Bluetooth, etc. Appeon is hoping to release another version of Appeon Mobile in Q3 2013 that will launch the formal support of Android based devices, a mobile debugger, with SAP and PB 15 integration included as well. For the longer term, Appeon is carefully watching the Microsoft Windows Phone 8 launch and adoption as this could well be the release planned for Q4 of 2013. OSUG recommends that you visit Appeon’s web site at http://www.appeon.com on regular intervals to keep up with the Appeon Mobile news or visit Appeon’s premier partner Novalys who is also gearing up to support the Appeon Mobile product (http://appeon.novalys.net/EN/powerbuilder-on-mobile-device/appeon-mobile-powerbuilder.html). The last presenter for the afternoon was SAP Canada’s technical guru on Sybase’s SUP (Sybase Unwired Platform) and Afarica products by Mr Anthony Robinson. Anthony is a Principal Systems Consultant for Sybase based in Ottawa, Canada. Anthony has been with Sybase since 2000 and has worked for Sybase's American Federal team out of Bethesda Maryland until 2004, when he then transferred to Sybase Canada. Before joining Sybase, Anthony was a sales consultant with New Era Of Networks and a functional SAP consultant for SLI Consulting Inc.
Anthony`s first presentation was an updated Roadmap for SUP and the new features we could find in the latest release. He also covered many aspects of how developers need to re-think their application designs in order to properly address the mobility space and new devices. Anthony`s second presentation encompassed SAP Sybase`s Afaria product that can monitor any mobile device such as a laptop, phone or tablet for a complete inventory of what is on the device. More importantly, if the device is reported stolen can lock the device, reset its password, encrypt the entire device, or even "poison pill” the entire device thus wiping it clean entirely. Anthony mentioned that both SUP and Afaria were in use by some major Canadian government departments today and there has been quite a rising interest in these products over the past year as more departments look at mobilizing their work force. OSUG would like to again thank SAP Sybase Canada, its partners, ISUG and TEK Systems for helping OSUG make this birthday event one of the its most memorable events! Hopefully, with some renewed SAP support OSUG will see many other birthday milestone events in the future!